• If you disagree with any part of these terms and conditions, please do not use our website. • The term ‘Adel Professional’ or 'us' or 'we' refers to the owner of the website whose registered office is Adel Professional Ltd, Units 4-5, Roman Ridge Road, Sheffield, S9 1GB. Our company registration number is 063 70475. The term 'you' refers to the user or viewer of our website. 5. Website Content and Information. • Adel Professional operates exclusively as a wholesaler; we do not sell to the general public. 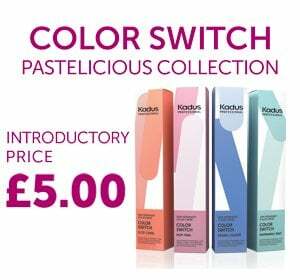 By placing an order with us you are confirming that you are a qualified or student Hairdresser, Beauty Therapist, Nail Technician, and as such are competent in using the products sold on this website. • We will not be held responsible for any injury or damages incurred by users of the products we sell. As a business user, it is your responsibility to ensure that you are insured for products that you are using. • We reserve the right to ask for proof of professional status and to refuse to fulfil an order if we believe the person ordering is not a trade customer. 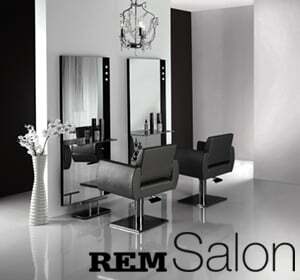 - Salon business card and a letter from a solicitor or accountant. - Student enrolment letter, stating course dates. - Trade reference or buying card from another hair and beauty trade supplier. - Business cheque book or business credit card. • All products are subject to stock availability. Stock availability is shown on the website, however if we have insufficient stock to fulfil the order, we will notify you by e-mail at the address given by you in your registration form. • Stock is allocated on a first come first served basis once your order reaches our main server. • The Seller does not guarantee the availability of any item based on stock figures shown. • We cannot send aerosols, flammable or hazardous items to overseas destinations. • Please do not order any restricted items if delivery is to an overseas destination. • We will retain ownership of the goods you order until we receive full payment for the order, including any applicable delivery charges. Once the goods have been delivered to you they will be held at your own risk and we will not be liable for their loss or destruction. • Furniture and equipment orders cannot be cancelled more than 5 working days after being placed; we may in rare circumstances accept the cancellation or return of an order outside of this time scale, however this is at our discretion and may be subject to a charge of up to 20% of the value of the goods as well as the delivery charge. • It will be clearly stated on the relevant product information page if the item you’re considering is subject to these conditions. For more information see our Returns Policy (section 9). • We reserve the right to correct any pricing errors on the site at any time. All purchases are subject to availability and Adel Professional reserves the right to refuse to supply to any individual or company for whatever reason. • Special offers are subject to availability and may change without notice. • In-store offers may not be available online; online offers may not be available in-store. • When a free or discounted product is issued as part of a special offer, this must be returned for the price paid if the qualifying product is returned as unwanted. • In the top right hand corner of the Website there are options to show prices with VAT or prices without VAT added on. Toggle between these to show prices with or without VAT. • After a payment has been processed we will email an order receipt to the email address associated with your registered Adel Professional account. • Colours of products may vary due to differences in camera/monitor settings; product packaging may also be different to that shown. • All content included on the website is the property of Adel Professional. All software used on this website is the property of Adel Professional or our software suppliers. You may not extract or reutilise part of the contents of the website without the written consent of Adel Professional. • Adel Professional grants you a limited licence to access and make personal use of this website, but not to download (other than page caching) or modify it, or any portion of it except with the written consent of Adel Professional. This licence does not include any resale or commercial use of this website or its contents, any downloading or copying of account information for the benefit of another seller. • Neither this website nor any part of it may be reproduced, duplicated, copied, sold, resold, visited or otherwise exploited for any commercial purpose without the consent of Adel Professional. • This website contains material which is owned by or licensed to us. This material includes, but is not limited to, the design, layout, look, appearance and graphics. Reproduction is prohibited without express permission. • All trademarks reproduced on this website which are not the property of, or licensed to, the operator are acknowledged on the website. • We aim to dispatch orders within 24 hours; however this can vary due to stock availability. • Furniture and equipment orders are normally delivered within 2 - 4 weeks although some items may take 6 - 8 weeks. You will be advised of the estimated delivery date shortly after your order is placed. • Delivery times are quoted in good faith and we cannot accept liability for any expenses or other costs incurred due to failed or late deliveries. • Delivery of overseas orders may be affected due to political conflicts, such as war, civil unrest, martial law et cetera. • We cannot deliver to BFPO addresses as we do not use Royal Mail for deliveries. • We use a courier ‘next working day’ delivery service for all orders dispatched by us to UK mainland (some orders may be sent direct from manufacturers). Please allow an extra working day for delivery to UK Offshore and Northern/Rural Scotland destinations. • Applies to UK Mainland (excluding Northern/Rural Scotland) orders placed and payment received before 4pm (Monday to Friday - GMT/BST) where all items on the order are in stock. Any orders placed on Friday will be out for delivery on Monday. If the day of delivery is a bank holiday then the order will be out for delivery on the next available working day. • Orders containing items that are not stocked by us or sent directly from our suppliers - such as salon furniture, equipment or college kits - will not be eligible for this service. Such items will normally state 'special order' before you add them to the basket. • We accept no responsibility for late, missed or non-delivered orders as these are carried out by a courier company on our behalf. • The next day delivery service does not apply at the following times: during and shortly after promotional periods, after a bank holiday weekend or during the Christmas & New Year period. During these times we will endeavour to get your order to you on the next working day but this may not be possible due to the large amount of orders we receive. Please note that in some circumstances the delivery surcharge may need to be increased for large and/or bulky items either inside or outside of the United Kingdom. You will be informed of this before your order is dispatched. It is our courier's’ policy to leave goods with a neighbour if you're not in. Please enter 'do not leave with neighbour' into the delivery instructions when placing your order if you'd prefer the courier didn't do this. Applies to UK Mainland (excluding Northern/Rural Scotland) for orders placed online totalling £50 + VAT or more; training courses, furniture, equipment, college kits & delivery charges do not count towards the free delivery threshold. Orders over this amount that include furniture or equipment will be subject to a surcharge of £15 + VAT. • When your item has been dispatched you will receive an email alert from Adel Professional. • Any correspondence regarding your order delivery after this dispatch email will come from our courier company, DPD. Please note that if delivery fails on a number of occasions, DPD may return your order to us. If this happens, we will process a refund for the order; however, please be aware that we are unable to refund the original cost of delivery. • Delivery times to European destinations are usually between 3 – 8 working days. • Delivery prices quoted at checkout are for UK mainland areas of the delivery country only. In some circumstances the standard delivery charge quoted may need to be increased to allow for large and/or heavy items, however you will be informed of this before your order is dispatched. • When purchasing goods for delivery outside the United Kingdom you may be subject to import duties and taxes which are levied once the goods reach the specified destination. You are also liable for any additional customs clearance charges; we have no control over these charges and cannot predict what they may be. • If you are ordering goods for delivery outside the United Kingdom it is your responsibility to comply with all laws and regulations of the countries to where the goods will travel through and where delivery is to be made. Adel Professional shall be entitled to cancel or delay delivery of orders if it is delayed, hindered or prevented from delivery through circumstances beyond its control. Such circumstances shall include (but are not limited to) industrial action, accident, fire, act of god or failure to deliver by suppliers or couriers. • It is your responsibility to ensure the person(s) you are booking on the course meets the requirements as detailed within the course details before booking. • Courses booked online are provisional; you’ll be emailed within 2 weekdays to confirm your booking. As spaces are limited we cannot initially guarantee there are places left on the course. • Available stock may not be a completely accurate representation of places available. • Advertised trainer is correct at time of booking; we reserve the right to change the trainer without notice at any time. • Dress Code: Please wear professional attire when attending a training course. • Insurance: It is your responsibility to check with your potential/existing insurance provider and/or county council to ensure you are able to gain your public liability, business insurance and any council license requirements before booking a training course through Adel Professional. • Most courses are refundable up to 14 days prior to the start date of the course (in some cases this may be up to 31 days, please check the course information sheet before you book). After this point courses are non-refundable and non-transferable under any circumstances. • You may send a substitute delegate providing they meet the course criteria stated on the course information sheet. • We reserve the right to cancel a course, in this case we will notify you at least 7 days prior to the event and advise you of an alternative date/venue or provide you with a full refund. • In the event of a course cancellation with less than 7 days' notice, a new course date or refund will be organised for you; however, in this instance Adel Professional are not liable for travel expenses, childcare, potential loss of income or any potential associated costs. • Good bought online should be returned within 14 days of delivery, unused and in their original packaging. If goods are returned in an unsaleable condition, we reserve the right to return these to you. • Please email us at customerservice@adeldirect.co.uk or call us on 0114 284 2098 to inform us of your intention to return goods and whether you are looking for an exchange or a refund. • Goods must be returned to the address shown in section 9.1. (refunds cannot be processed in-store). • Please ensure a copy of your invoice/receipt accompanies the return. • We strongly recommend you use recorded delivery as we cannot accept responsibility for any lost goods. Please email your tracking number to customerservice@adeldirect.co.uk. • The original delivery charge cannot be refunded. • Furniture and equipment orders may be subject to additional conditions, please see section 2.4 for details. Cancellation of furniture orders at any point after ordering may be subject to a cancellation fee. • Due to hygiene regulations we cannot accept returns (subject to our discretion) of the following products if product packaging has been opened: Scissors, Razors, Cosmetics, Hair Brushes, Hair Extensions, Straighteners & Tongs, Body Jewellery, Aerosols, Piercing tools, Foot Spas and Manicure Tools. This list is not exhaustive and does not affect your statutory rights. • We take great care to ensure all goods you receive are correct and undamaged. In rare cases where incorrect or damaged goods are received (or where goods you expected to arrive haven't) you must inform us within 48 hours of delivery/expected delivery to customerservice@adeldirect.co.uk or call us on 0114 284 2098. • Please return the goods to us, let us know, and send to the address listed in section 9.1 (refunds cannot be processed in store) using recorded delivery and we will reimburse you the cost of this. • For faulty or incorrect orders that need to be returned, we will refund the original cost of delivery at our discretion. • For faulty electrical items, please ensure you read and refer to any enclosed product warranties for information on returning faulty items.